« Episode 66: Back to the Future Geekout – Part Three! 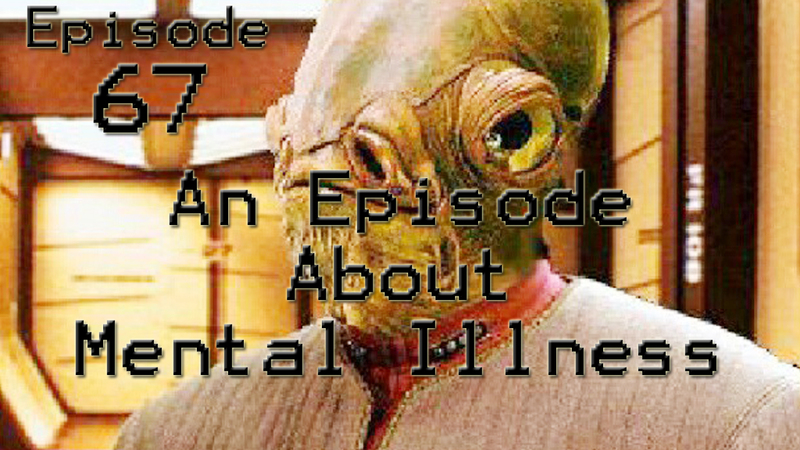 Episode 67: An Episode About Mental Illness. Tyler Grant joins us back on the podcast to talk about this touchy subject. He talks about his experiences with mental illness and his road to getting properly diagnosed and in the correct medication. Troy, our own Boss Monkey even talks about his experiences of just starting to seek treatment for his diagnosis and how hard it is starting on a new medication. Their is no shame in telling someone that you need help. It’s probably the strongest thing you can do.